In poetry, food and traditions through the generations, the full moon has inspired Chinese people all over the world, as a reflection of unity, tranquility, abundance and fortune. The annual Mid-Autumn Festival will be here soon, and Hyatt Regency Beijing Wangjing has prepared a selection of traditional mooncakes and delicate gift boxes to celebrate this special occasion with the guests and their loved ones. Crafted by Executive Chef Derek Liew Yi Leng and his team, an array of traditional Cantonese handmade mooncakes will be presented with a modern twist. As the mooncakes are infused with various fresh ingredients, they also feature a lighter and healthier recipe while pleasing on the palate. Two exquisite gift options aim to build the warm connection between guests. 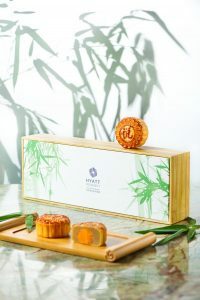 Hyatt Regency Beijing Wangjing has selected four classic mooncake flavors, to recreate the taste of Mid-Autumn festival. 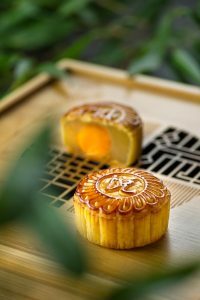 The traditional baked mooncakes which are also popular with guests include a collection of four flavors to choose from, such as Lotus Paste with Yolk, Custard Cream, Ham & Mixed Nuts and Sesame Paste. The elegant and distinctive aroma and taste of thoughtfully sourced ingredients are infused into the paste, making each mooncake the most memorable for the palate. 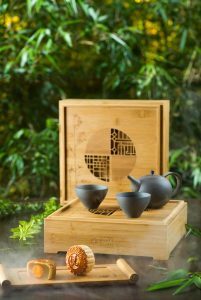 Hyatt Regency Beijing Wangjing created a delightful festival reunion with its deluxe mooncake gift box Zhu Yue. All mooncakes are presented in acarefully crafted box made out of bamboo. The exquisite pattern shows a beautiful view “from the window with moon and bamboo,” representing the traditional oriental aesthetic, making it an elegant present for friends and relatives this festive season. Apart from the classic festive delicacies, the Deluxe Gift Box also features five refreshing flavors including Coconut Paste, Red Bean Paste Yolk, Dates, Taro Paste and Date Paste with Walnut.